Revelio Blogger template is a minimal blogger template which focus on the most important thing in blog and that is content. revelio is ideal for news, blogging, fashion, Travel and Recipe Blogs. 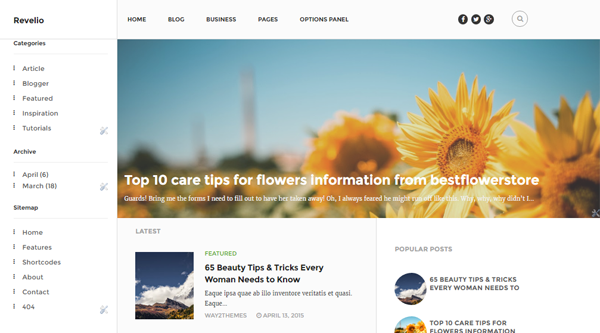 Revelio is very professionally made ,fully customizable blogger template with completely responsive layout. Revelio is compatible with all of the modern browsers. Revelio comes with many features like three column layout ,custom comment system, social sharing buttons below posts and a lot more. Following are some of the key features of feather blogger template.